INVIMA, established by the Colombian Ministry of Health to inspect and supervise the production and marketing of health products in the country is a leader in the region, holding level four status with the World Health Organization (WHO). INVIMA regulates Colombia's medical device market. In order to market your device in Colombia, you must obtain sanitary registration (aka marketing authorization or registro sanitario in Spanish) from INVIMA. INVIMA requires that your medical device is approved in a GHTF-founding member country (i.e., Australia, Canada, European Union, Japan, and the United States of America) or from a country that has an existing regulatory agreement of mutual recognition with Colombia. Foreign manufacturers have the option to have the INVIMA registration certificate issued to their company names and maintain control over their registrations in the Colombian medical device market (they will be able to add or remove at will the name of the importer of record and the INVIMA-certified storage company listed in the certificate). Can I register my medical device in Colombia under my foreign company's name? Yes. Your foreign company can be the title holder of the INVIMA registration certificate. You can have your INVIMA registration certificate issued under your foreign company's name. You don't need to name a local entity as the title holder of your registration certificate. Don't be tempted to let your distributor take control of the INVIMA registration process and pay for it. You will likely regret it later. Is there a video that provides an overview of Colombia's medical device regulatory environment? Yes. Please click the button below to watch it. What are the advantages of bioaccess.™ representation as compared to working with a distributor in Colombia to obtain the necessary approvals necessary at INVIMA? Very likely a distributor in Colombia has offered to put together a regulatory dossier package, pay the official INVIMA fee, and obtain market clearance for your medical device at INVIMA in Colombia —at no cost to you. On the surface, this sounds like a very appealing proposal; however, be aware that very likely the distributor will place its company name as the title holder of the INVIMA registration certificate, and this will seriously limit your ability to switch distributor in case your relationship with that distributor deteriorates. We suggest you follow the recommendations of the US Department of Commerce as referenced in the question above. If your company in the US, Europe, or elsewhere is the title holder of the INVIMA registration certificate, you will be able to have total control over the regulatory and commercial aspects of your business in Colombia. If you let a distributor in Colombia be the title holder of your product's INVIMA registration certificate, you won't be able to easily switch distributors/importers of record in case your relationship with that distributor deteriorates due to poor sales or other reasons. If your relationship with your initial distributor deteriorates, it will not be interested in transferring the INVIMA registration certificate of your products to a competing distributor in Colombia; under this scenario, you will have to re-register your products at INVIMA. The ideal model to register a medical device in Colombia and have total control over your sales in the country, is by having your product's INVIMA certificate issued under your foreign company's name and have bioaccess.™ as your legal representative at INVIMA. This way, you will have bioaccess.™ as a trusted local partner for all matters related to maintaining control of your sales in the country. Under this model, bioaccess.™will have power of attorney to represent your interest in Colombia, submit your technical file to INVIMA to apply obtain market clearance on your behalf, help you comply with any post-marketing reporting requirements, answer all the questions you may have about regulatory and business matters, and name new distributors/importers of record and/or storage facilities in your INVIMA registration certificate. Is there a sample application form and INVIMA registration certificate that you can show me? Yes. Please see a completed application form here and a registration certificate here. Is the INVIMA registration process difficult to get through as a foreign manufacturer? Not really. Just get a local company to be your registered agent/legal representative, have it submit your dossier file on your behalf, and wait 90 days for an answer (approval or a request for clarification/additional documentation). If you have marketing authorization or a Certificate of Free Sale from a reference country (i.e., GHTF-founding member countries: US, EU, Canada, Australia or Japan), you will have a straight-forward and relatively simple process to get your medical device approved by INVIMA. Please read more here. How much does it cost in USD to register my medical device at INVIMA in Colombia? INVIMA fees: They range anywhere between 850 and 1,000 depending on your device risk classification. See INVIMA fees here (in Spanish). Translations fees: Expect to pay anywhere from 5,000 to 15,000 (calculated at 0.25 per word in Spanish) depending on the number of words translated into Spanish. Regulatory consulting fees: See fees here. Agent/legal representation fees: See fees here. Click below to see a sample bioaccess.™ quote. How long does it take to register and obtain marketing approval for a medical device in Colombia? Assembly and translations of dossier file: Approx. 30-45 days after receipt of all your technical and legal documents. Medical devices: Class IIb and III device applications must first be reviewed and approved by INVIMA prior to being placed onto the market, which on average takes 90 days. INVIMA automatically approves Class I and Class IIa devices but it may take about eight (8) days to issue the registration certificate. How do I register my medical device at INVIMA in Colombia? If you have no local presence in Colombia, then you must appoint an in-country representative (aka authorized/registered agent or legal representative). If you appoint your distributor, it may list itself as the owner of the INVIMA registration, which is 10 years (not good!). If you appoint an uninterested third-party as your legal representative, it will request a power of attorney from you to manage your registration process, but your foreign company will retain ownership (very good!). Obtain a Certificate of Free Sale (CFS) or Certificate to Foreign Government (CFG) from your home country or from a GHTF-founding member country (i.e., Australia, Canada, European Union, Japan, and the United States of America). If your medical device is not sold in the country where it is manufactured, you must include a certificate issued by the competent authority in the manufacturing country that authorizes the production of the device, and proof of market clearance from one of the reference countries indicated above. Your registered agent/legal representative will submit your application dossier to INVIMA in Spanish and will pay the required application fee. Once approved, INVIMA will issue a registration certificate (aka “registro sanitario” in Spanish) valid for ten (10) years. By default, INVIMA automatically approves Class I and IIa applications, so you may begin importing and selling immediately. However, INVIMA will still review the application and may request additional information. Once approved, INVIMA will issue your registration certificate. For Class IIb and Class III devices, INVIMA will take about 90 days to review your registration application and may approve your application, ask follow-up questions, or request additional documentation. If all requirements are met, INVIMA will issue your certificate. You may begin importing, marketing and selling your device in Colombia. INVIMA registrations are valid for 10 years. Application renewals are due to INVIMA three (3) months before the expiration of your registration certificate. Is there a document in English that summarizes Colombia's regulatory framework for medical device registration? Yes, please see the World Health Organization's summary for Colombia here. What is the medical device classification system in Colombia? Colombia's INVIMA medical device classification system is based on the potential health risk related to the use and possible failure of a device. The criteria used involves duration of contact with the body, how invasive the device is, and local effect vs systemic effect. What are the document requirements to register a medical device at INVIMA? Certificate of Free Sale (CFS) or Certificate to Foreign Government (CFG) from your home country or an INVIMA recognized market (e.g., USA/FDA, EU/CE Marking, Australia, Canada, Japan). If your medical device is not sold in the country where it is manufactured, you must include a certificate issued by the competent authority in the manufacturing country that authorizes the production of the device, and proof of market clearance from one of the reference countries indicated above. Quality system certificate (e.g., ISO 13485, GMP). Product information and commercial history of the product; test reports will be required for Class IIa, IIb and III devices, and clinical data will be required for Class IIb and Class III devices. Declaration of conformity (CoF) issued and signed by the manufacturer compliant with the international reference standards it meets, on which the name of the medical product becomes apparent, if not already on the certificate of free sale. Note: This is a simplified overview of the document requirements. Click here for a more detailed list of document requirements. INVIMA may choose to audit your submission and request more documents, which will add time to your approval. Does the Certificate of Free Sale, the Certificate to Foreign Government (CFG), the ISO certificate, or any other government-issued or official document (e.g., notarized letter or power of attorney) need to have an apostille affixed to them before submission to INVIMA? Yes. All foreign official and legal documents must have an apostille (or certificate of authentication) at the country of origin. In addition, they must be translated to Spanish by a Colombia-Ministry of Foreign Affairs-certified translator. What parties do I have to name in my medical device INVIMA registration application in Colombia? An importer of record (IOR) company (e.g., your local distributor or a third-party logistics operator) with a valid INVIMA-issued storage certificate (aka CCAA certificate). You as a foreign manufacturer (or a local third-party that you appoint) will be the title holder of the registration. Any local company in Colombia could be your IOR as long as it is certified by INVIMA to store medical products. INVIMA issues a special certificate to medical device storage companies (aka CCAA or Certificado de Capacidad de Almacenamiento y/o Acondicionamiento). My company doesn't have FDA, CE Marking or approval in Australia, Japan, or Canada. Can I still get market clearance for my medical device in Colombia? Colombia’s regulatory agency (INVIMA) does not currently allow for the registration of medical devices that don’t have a certificate of free sale (CFS) from their country of manufacture or regulatory approval from a reference country (EU, USA, Canada, Japan and Australia). There is a strong lobbying effort in Colombia to change the current regulation so that in cases like yours —a company that doesn’t have a (CFS or regulatory approval in a reference country)— can still get market clearance for their products in Colombia. How do I find a distributor in Colombia? Finding a competent distributor is not easy. Foreign manufacturers need to conduct thorough due diligence before entering into business with a Colombian distribution partner and should be conservative in extending credit and be alert to payment delays. As one element in a prudent due diligence process, you should conduct background checks on potential Colombian distributors. Choosing the wrong distributor may cost you about three years in missed sales opportunities. US manufacturers should consult a local attorney to execute an agency or distribution contract and to thoroughly vet the prospective partner by conducting a background check. US manufacturers should be aware, however, that their ability to compete in Colombia could be hampered by unfair business practices such as contraband, counterfeiting, intellectual property rights violations, under-invoicing, money laundering, and dumping. It is important to choose a reputable distributor when entering the Colombian market, as the wrong one can lead to missed sales opportunities, poor relationships with end users and a damaged brand name. Working with local experts ensures that distributors are chosen objectively and evaluated with your specific business needs in mind. Read how we can help you create a market access plan and find a distributor in Colombia here. If I register my product in Colombia, will I be able to sell it in other Latin American countries? No. You will have to register your product in each individual country. The countries that are part of the Pacific Alliance —Chile, Colombia, Ecuador, Mexico and Peru— are advancing a Regulatory Coherence and Medical Device Regulatory Convergence Initiative. These efforts are augmented by the work of the APEC Life Sciences Innovation Forum (LSIF), Regulatory Harmonization Steering Committee (RHSC) which includes Chile, Mexico, and Peru. The RHSC promotes a coordinated approach to regulatory harmonization and capacity building efforts across the region. The goal of this initiative is to have a common regulatory market with the Pacific Alliance countries so that if you register your product in one Alliance-member country, its regulatory approval will be recognized by the other member countries. This initiative has not been finalized yet. Does my company have to appoint a registered agent/legal representative in Colombia? Colombian law does not specifically mandate foreign medical product manufacturers to appoint an in-country regulatory registered agent/legal representative. Most foreign manufacturers that do not have a local office in Colombia appoint an in-country registered agent/legal representative for practical reasons (e.g., to manage the submission of the initial registration, receipt of notices, reporting of adverse events, to file the mandated annual post-market surveillance report, and to be the liaison between the manufacturer and its distributors). Foreign manufacturers must issue power of attorney to a local third-party in Colombia if they would like to have that third-party represent their interest while doing business in Colombia and communicating with INVIMA on their behalf. Most foreign manufacturers that have more than one distributor in Colombia, appoint a registered agent/legal representative to submit their INVIMA registration application, and to manage all regulatory aspects of doing business in Colombia. This way, foreign manufacturers have an independent third-party looking after their interest in Colombia. The registered agent/legal representative acts as a liaison between you, INVIMA, and any other private or government entity. Medical device manufacturers that do not have a physical location within Colombia usually appoint and maintain that registered agent/legal representative for as long as they market and sell their products in Colombia. Your registered agent/legal representative in Colombia will manage your product registration process, will interact with INVIMA on your behalf, will receive legal notices on your behalf, and will ensure that you comply with local post-marketing surveillance requirements (i.e., filing the mandatory annual report). We will place our name, mailing address, email address, and phone number on your device submissions and registrations to INVIMA. We will receive all INVIMA notices about your product, review them and share them with you to establish the best course of action. Upon request by INVIMA, we will provide information about your product, and names and addresses of distributors established in Colombia. We will have access to your product documentation for inspection by INVIMA if requested. Note that we can only supply this information for inspection by INVIMA upon written permission from you and cannot share it with any other person or entity. We will be available to make changes (e.g., switching importer of record) to your existing registration certificate. We will be available to coordinate inquiries, analysis and responses for reportable adverse events as reported by users, distributors, importers of record or INVIMA. We will help you determine the best response. We will be available to provide technical assistance for the reporting of adverse events as reported by users, distributors, and importer of record. We will be available to make certain your distributor or importer of record follows Colombia's post-market surveillance regulations. We will be available to act as a liaison between INVIMA and you in case of recall or risk for product withdrawal from the market. What's the role of an importer of record in Colombia? You as a foreign manufacturer (or a local third-party that you appoint) will be the title holder of the registration. An importer of record (IOR) is a legally formed entity under Colombian law that has been classified as an "importer" by Colombia's custom agency (DIAN). Any IOR in Colombia that is certified by INVIMA to store medical products could be your importer and storage company. INVIMA issues a special certificate to medical device storage companies (aka CCAA or Certificado de Capacidad de Almacenamiento y/o Acondicionamiento). If a manufacturer only has one distributor in Colombia, very likely it will appoint this distributor as its IOR. If a manufacturers has more than one distributor in Colombia, it will very likely appoint a third-party company as its IOR (preferably a logistics company that is also certified by INVIMA as a storage company). The role of the IOR is to apply for import permits at Colombia's Ministry of Industry and Commerce (VUCE office) and to interact with Colombia's customs agency (DIAN) to nationalize the manufacturer's medical devices in Colombia. Should I appoint my distributor as my regulatory registered agent/legal representative in Colombia? You may need to provide access to your device information and documentation (mandatory for registration purposes) and most companies prefer not to put (confidential) design information in the hands of their distributors. A conflict of interest may occur in the event of recall and/or incident reporting between you (the manufacturer) and the distributor. If INVIMA questions an incident or a non-compliance that occurred in the distribution system, will your distributor defend his company or yours? The distributor is focused on sales and marketing, not on regulatory affairs. They may not keep you up-to-date on regulatory changes in the market and provide timely warnings when changes affect your devices. You may want to assign an initial distributor to be your importer of record (IOR) in Colombia, and later you may need to switch the name of your IOR in your INVIMA registration certificate. If you select an independent third-party as your registered agent/legal representative in Colombia, it will fully cooperate with you so that you control all regulatory aspects of your medical device on the market. What are the specific labeling requirements for submission to INVIMA? The artwork in Spanish with at least the following information: product name or reference, manufacturer's name and address, and internationally recognized safety symbols. Artwork for a separate label in the form of a sticker with the following information: name of the importer of record, product name, product model or reference number, importer of record's name and address, registration certificate number, and classification of the device (I, IIA, IIB y III). Which documents must be in Spanish and which ones are accepted in English? What documents does my company need to translate? The number of documents to translate will depend on the classification of your device. The steps above tell you what documents you generally need to submit to INVIMA in Spanish. Registration materials pertaining to biocompatibility, risk analysis, sterilization, and clinical studies and test reports may now be submitted to reviewers in their language of origin; summaries of study descriptions, methods and conclusions must be provided in Spanish. Once we review your product information, we will be able to tell you exactly what documents you need for submission. Please bear in mind that after submission and INVIMA internal technical review, it may ask for additional documents at its discretion. You must translate to Spanish your devices' operations and maintenance manuals. Please review INVIMA's official website (in Spanish) for detailed information about submission requirements. Any legal document (e.g. power of attorney) must have an apostille and must have its respective "official" translation by a translator who is certified by Colombia's Ministry of Foreign Affairs. What are the costs associated with translating the submission documents to Spanish? The average standard rate per word translated to Spanish is USD $0.25. We will ask you whether you want us to handle the translations locally in Colombia for you or if you prefer to send us the documents in Spanish. Please be aware that there are slight differences in the way Spanish-speaking countries in Latin America use the Spanish language. INVIMA prefers to receive documents in "Colombian" Spanish so that their staff and the general public can easily understand them in Colombia. How long will it take for you (bioaccess.™) to review our documents and assemble the final dossier package to INVIMA? Generally, we will take about 30-45 days. The time will depend on whether you have all the technical and legal documents ready for us to review or not. You will need to notarize and apostille some legal documents and ship them to us by courier; this may delay the review and assembly process. Can my company start selling in Colombia as soon as INVIMA receives a submission for medical device approval? INVIMA automatically approves Class I and IIa applications, so you can begin selling right away (INVIMA will take about eight days to issue your registration certificate). The agency will still review the application, and manufacturers must respond to any additional information requests within 30 days. Failure to comply will result in approval being revoked. For Class IIb and Class III INVIMA must review and approve your application before you can begin selling; the review could take up to 90 days. During this review, INVIMA may ask follow-up questions or request additional information. Is home country approval required to register my medical device in Colombia? For lower-risk devices, INVIMA has reduced some registration requirements; INVIMA now accepts Certificates of Free Sale (CFS) from GHTF-founding member countries (i.e., Australia, Canada, European Union, Japan, and the United States) in place of certain required documents. Home-country approval (or approval in a GHTF-founding member country) is a prerequisite for market authorization in Colombia. Foreign manufacturers have the option to maintain full control over their registrations in the Colombian medical device market. This means that you are allowed to place your company name as the title holder of the INVIMA registration certificate. What if we do not have ISO 13485 certification for medical devices? The regulation requires proof of a QMS (such as ISO 13485); however, if your company doesn't have it, then you can meet this requirement by providing an ISO 9001 certificate, an FDA Establishment Report, or some other equivalent document. How do I control my approval with you as my registered agent/legal representative? 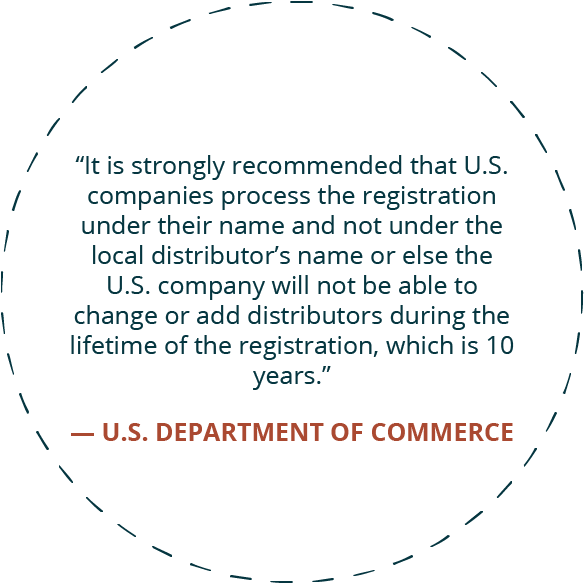 When foreign manufacturers trust their local distributor to register their products in Colombia —instead of an independent third-party regulatory registered agent/legal representative— the distributor will often list itself as both the holder and importer of record (IOR) of the registration. This means that the distributor is in total control —for 10 years— of your product registration (and commercialization) in Colombia; any future modifications, such as adding a new distributor, models, etc., would need to be authorized and processed at INVIMA by the distributor itself (not good!). Please note that it's not in the distributor's best interest to relinquish its ownership of the registration certificate. This forces the foreign manufacturer to re-start the process of registering the product when in need to change its distributor in Colombia —duplicate product registrations are allowed in Colombia. 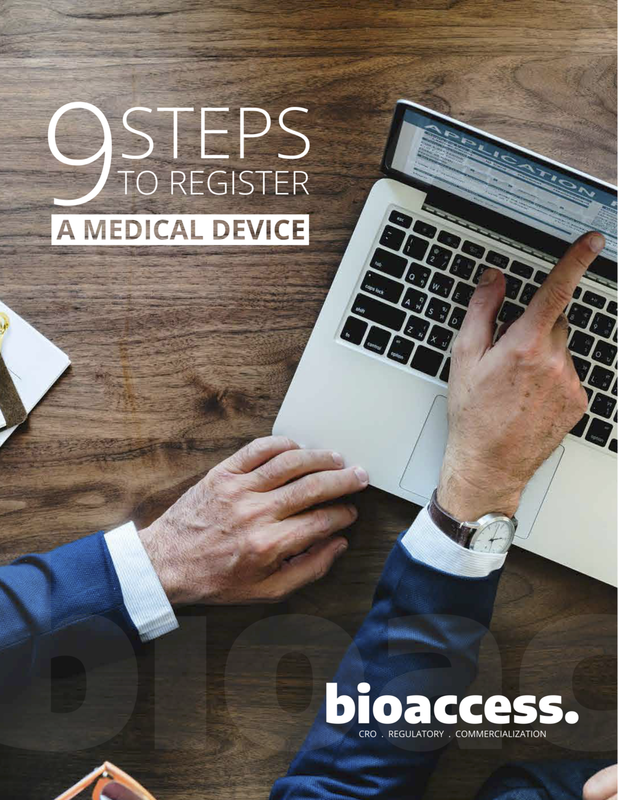 As your registered agent/legal representative, bioaccess.™ will register your product in your foreign company's name, ensuring that you have 100% control over your registration and the commercialization of your products; this way, you will be able to switch at will the importer of record listed in your INVIMA medical device registration. How can I know that my product has been registered with INVIMA in Colombia? You can go to INVIMA's website and search (in Spanish) for “registro sanitario” (sanitary registration). You will be able to select your type of product and search using several keyword options. Can I transfer my registration certificate to another registration holder? Registrations can be transferred in Colombia as long as the original holder (a local distributor, in most cases) would agree. If the holder is a distributor, it is usually not willing to give up control of a registration, and often foreign medical device companies need to submit a new application and incur additional costs. When you appoint bioaccess.™ as your regulatory registered agent/legal representative, you can change your registration as needed and have total control over the commercialization of your product in Colombia. bioaccess.™ will submit the INVIMA application with your foreign company as the holder and controller of the registration. It is advisable that you have a third-party logistics operator (independent from your distributor) be your registration's importer of record (as opposed to having one local distributor as the entity that imports and stores your products); this way, you will be able to have several distributors to cover the five regions in Colombia —your logistics operator will be able to import products on your behalf, store them in its INVIMA-certified warehouse; as distributors place orders with you, your logistics operator will ship products domestically to your distributors' preferred shipping address in Colombia. We are planning to change our distributor in Colombia. Our current distributor has the ownership of the INVIMA registration certificate/market clearance. Is it possible to transfer the registration on our (company) name? And if so, what will it take to do so? The short answer is "Yes" providing that your local distributor is in friendly terms with your company and is willing to sign the necessary documents to transfer the registration on your company's name. If your distributor is the title holder of the registration, you won't be able to anything with it without their cooperation. The transfer is a straight forward process. It should take about 30 days or so depending on INVIMA"s processing time at the time of submission. The cost should be about 3-5 hours of regulatory time (about USD 250/hour) involved depending of how ready the documents are (i.e., letters of authorization, corporate certificate of the new distributor/importer of records, etc.). The distributor is not willing to sign the documents nor transfer the registration to your company's name: You will have to start the process from scratch, re-register your medical device and obtain market clearance at INVIMA (under your company's name). Are there any INVIMA requirements for distributors so that they can officially sell my company's products in Colombia? Does INVIMA and/or the regulatory registered agent/legal representative or manufacturer have to officially “recognize" them as commercial distributors? No. However, if you appoint a local distributor in Colombia as your importer of record (IOR) in your INVIMA registration certificate, this distributor must be certified by INVIMA to store medical devices. In other words, this distributor must have a CCAA certificate. Can my company sell directly to end-users in Colombia? Yes, as long as your end-user (buyer) contacts your IOR in Colombia to process the physical importation of your medical device. Bear in mind that your IOR may be a logistics operator or a commercial distributor. Can my company register the products that a former distributor had already registered? Yes. Colombian allows duplicate registrations. A foreign manufacturer can register its products in Colombia despite the fact that its current distributor may have already registered them. Bear in mind that your company will have to pay for this registration process as a new submission and re-submit all necessary documents (INVIMA will not grandfather a prior submission or give you access to prior documents). bioaccess.™, as your company's local regulatory registered agent/legal representative, could handle this process for you. Your company will have to name a new IOR on the new application submission. Whom do I name as an importer of record (IOR) in my product registration certificate application submission to INVIMA? On the application form for the new registration, we will add the name of the importer of record (IOR) of your preference. In most cases, the importer of record is a distributor with a valid INVIMA-issued CCAA certificate. However, it could also be a logistics operator with a valid CCAA certificate (this is the recommended approach when you choose to have more than one distributor in Colombia). bioaccess.™ can help you find a logistics company that can become your registration IOR (as opposed to having one local distributor as the entity that imports and stores your products); this way, you will be able to have one IOR (a logistics operator) and several distributors to cover the five regions of Colombia. A third-party logistics operator will be able to import products on your behalf and store them in its INVIMA-certified storage warehouse. As distributors place orders with you, your logistics operator will ship products domestically to your distributors' preferred shipping address in Colombia. What if my company wants to amend (e.g. new importer of record, new manufacturer, new registration holder, product name, new label, use indication, risk classification, etc.) its existing registration certificate? It will be easily done after submitting a change request to INVIMA. INVIMA will take about 30 days to make the change after submission of the application. We will charge you per our standard regulatory consulting hourly rate (USD $250) plus any applicable INVIMA fee. What should I do if my company wants to switch distributors in Colombia? It can be easily done. If the prior distributor is named in your INVIMA registration certificate as importer of record (IOR), then we can submit a request to INVIMA on your behalf. What's the process to obtain an import permit in Colombia? Once INVIMA issues your registration certificate, Colombia’s Ministry of Industry and Commerce (MinCIT) is the entity that issues import permits. You will need to provide MinCIT with a pro-forma invoice of the shipment, the INVIMA registration certificate, and complete an electronic application. You will need a separate import permit for each shipment. How do I express-ship something to Colombia that doesn't need an import permit? Note: Duties and taxes on express international shipments are usually billed automatically to the recipient, unless the shipper specifically requests that the courier bills the shipper or a third party. When completing your courier Waybill, please select the shipper (you) as the party responsible for payment. What should I do if my company wants to open a local sales office in Colombia? You should incorporate a legal entity in Colombia. We can help you set-up your subsidiary new business entity in Colombia (read more). Does INVIMA need the name of my company's importer of record (IOR) in Colombia before the product registration certificate is submitted to INVIMA? Yes. INVIMA's medical device registration application form requires the name of your IOR upon submission. INVIMA has a rigorous certification process (also known as Certificado de Capacidad de Almacenamiento y Acondicionamiento or CCAA) to make sure importers of medical devices comply with storage, quality, and personnel regulations (Resolution 4002 of 2007). Any local entity in Colombia that has the CCAA certificate can be your importer of record (IOR). What power does the importer of record (IOR) have over my company's distributor(s) or regulatory registered agent/legal representative? None. The IOR's only role is to be the official importer (and storage facility) of your company's medical devices in the Colombian territory. Colombia's customs agency (DIAN) will only let your company's IOR nationalize your products in the Colombian territory. No other third party in Colombia will be able to import your company's products and sell them to end-users. Your company's regulatory registered agent/legal representative in Colombia will be able to act on your behalf to change the name of the IOR at your company's will. Your company's IOR does not control your regulatory registered agent/legal representative nor it controls your distributors. Your company has full regulatory and commercial control over its IOR and its distributor(s). Could you be my company's importer of record (IOR)? No, we don't have an INVIMA-issued CCAA certificate; we are not a logistics operator in Colombia nor a commercial distributor. We can help you search and select the best local importer of record (IOR) and distributor(s) for your company's products. Read more about our market access consulting service here. What are the post-market controls for medical devices in Colombia? Decree 4725 of 2005 and Resolution 4816 of 2008 set forth requirements for tracking of medical devices. Medical device reporting is required by Decree 4725 which mandates all stakeholders who become aware of adverse events to notify INVIMA. Additionally, INVIMA requires complete resolution and notification of any correction, removal or recall. Typically, the foreign manufacturer delegates this reporting requirement to either its regulatory registered agent/legal representative, its importer of record, or one of its distributors in Colombia. If your company appoints us as its regulatory registered agent/legal representative in Colombia, we can take charge of this requirement by billing (at our regulatory consulting rate) your company for the time involved per adverse event report submitted to INVIMA. If you have more than one distributor in Colombia, your company certainly would want to centralize compliance of the reporting requirement with an independent third party such as its regulatory legal representative. How do I renew a product registration certificate? You can submit an application for renewal 90 days before the expiration date of your registration certificate. Once a product registration certificate expires, then you will have to re-submit a new application. How do I confirm whether a company has been issued an INVIMA registration certificate as they are claiming they have been so approved? Please visit INVIMA’s website (in Spanish) for that information here. Alternatively you can ask the business to send you a copy of the “registro sanitario” (market approval certificate). About Julio G. Martinez-Clark: Julio is CEO of bioaccess.™ —an Orlando, FL-based market access company for medical device companies looking to expand their market, sell their products and conduct first-in-man clinical trials in Colombia. The company offers a wide range of clinical research and market access options including regulatory product registration and marketing approval, registered/authorized agent/legal representation, distributor search, market research, and market access plans. Learn more.